Nicolas Autret is a Principal at the Samsung Catalyst Fund, Samsung Electronics’ evergreen multi-stage venture capital fund that invests globally in the new data economy and strategic ideas for Samsung’s mobile, device solutions and consumer electronics groups. He is based in Paris, France. 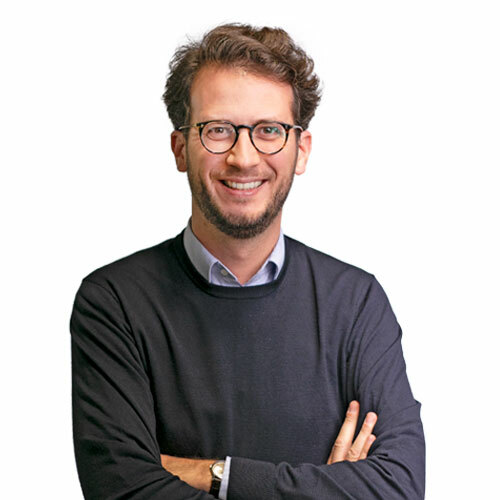 Formerly, Nicolas served as General Partner of venture firm 360° Capital Partners, where he led investments in early-stage startups throughout Europe. His experiences include investment roles for Sofinnova Partners and operating roles with the Corporate Development & Strategy group of Orange North America, as well as business development positions at LeGuide Group and Twenga Solutions. Nicolas holds an M.S. in Electrical Engineering from Supelec, a M.S. in Electrical and Computer Engineering from Georgia Tech, and an MBA from INSEAD. Life is too short; make an impact. In the Name of the Father, a 1993 film from Jim Sheridan. Spend time with my family. Play tennis and drums. Travel the world. Cook, and drink good wine. Catalyst team members gather diverse backgrounds and expertise (VC, operations, etc.). Upon investment, our portfolio companies get exposure within Samsung at C-level. We also open up the Samsung network at the business unit level to accelerate technology and commercial development. Generally, we help startups become part of a larger ecosystem that includes Samsung industrial partners and other portfolio companies. This has proved to bring tremendous value to our portfolio companies.